Whether your business is localized or global, handling the flow of merchandise is easily one of the more important components of business operation. Having access to a third-party logistics warehousing is most definitely a key to getting your products where they need to be when they need to be there. When shipping to the Northeastern United States, finding a warehouse in the New Jersey area is a must do on your checklist. 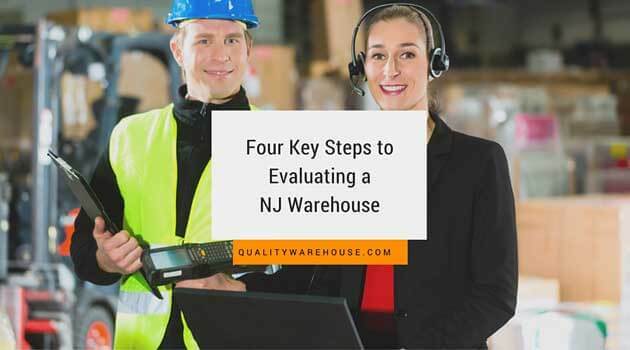 There are four key steps that you can use to evaluate a NJ warehouse to determine if it is the best option for your business. The third-party logistics warehousing solution in New Jersey that you choose for your business needs should be flexible, offering the variance of services that you know will cater best to your business not just now, but well into the future as well. You also want a warehouse that is flexible when it comes to the types of materials that they can appropriately. If your business needs change over time, which most businesses’ do, you need to know that your warehouse is flexible enough to change and adapt to your needs as a business owner. Changing warehouses mid-operation due to lacking flexibility of a specific warehouse can be a major undertaking and is something you will want to avoid. Before you make the choice to go with a specific warehousing provider, you will want to take a good look at their distribution process. The more streamlined the distribution process is within the facility and the more organized workflow seems, the more you will be able to count on your freight being handled in a timely manner that will fit the demands of your customers. Make sure that the warehouse is using the most up-to-date technology when it comes to handling, shipping, and receiving goods. Check out the labeling that is used and take note of how quickly items are moved to their destination, picked, packed, and so on. You likely want a warehouse that has access to various modes of freight transportation from rail shipping to air couriers and everything in between, so that you have options. For example, if you are interested more in rail shipping because of cost efficiency and timely deliveries, make sure the warehouse you choose has rail siding services. The closer the warehouse that you choose is to your preferred shipping method, the more you can keep costs and delivery times down in the long run. Every detail of your interaction with a potential third-party warehouse is something that you want to take close note of when you are trying to evaluate which solution is best for you. Customer service is important for you as the business owner, because the more comfortable you feel as a client, the easier it will be to build a working relationship that works for your business. When you can trust your warehousing partner, it makes your life a lot easier, because that’s one thing you don’t have to sweat about. Customer service can make the difference between a good experience and an awesome experience. 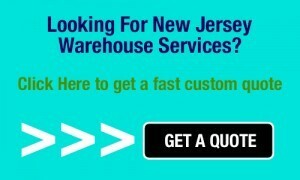 Using these 4 tips will improve your search for a warehouse in New Jersey that suits your business needs.